The recent changes to the Amazon review policies have lots of people panicking about whether there’s a future selling products on Amazon. 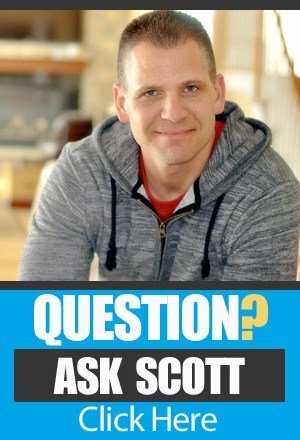 Since everyone is still rebounding and trying to figure out what the new rules mean for sellers Scott thought he’d take some time to chat with his friend Chris Guthrie who has made it his business to help sellers communicate with their customers. The two of them chat about what these changes mean practically for sellers on this episode. These two guys know their stuff so you’ll get some great insights from what they are thinking and the strategies they are putting in place to help their businesses continue moving forward. When you play on somebody else’ playground the rules change. If you are going to try to sell your wares on a platform you don’t own (like Amazon, or Facebook, or eBay, or whatever) you’re going to have to play by their rules. And they get to set the rules. And change them. That’s what has happened on Amazon lately and though many people are crying that it’s not fair what you need to understand is that the people who run Amazon get to decide what they are going to require you to do as a seller on Amazon. Period. So you’ve not only got to learn to play by the Amazon rules, you’ve got to adapt each time they change them. Chris and Scott think it’s good for you and for your business to have to pivot like that. It keeps you on your toes and makes you get creative when your competition may not do the same level of work to stay alive. The Amazon review changes kill the strategy of approaching top reviewers. It used to be a great strategy to contact the top Amazon reviewers and offer them a free product if they would leave a review. The belief was that doing so added some clout to your product if a top reviewer left a good review. But with the recent changes to Amazon’s review policy that strategy is out because you can no longer give a discount on your products in exchange for a review. You can hear other effects this change has on the way you build your business and market your products, on this episode of The Amazing Seller. A new way to promote your products to your email list and boost sales. Even though you are not allowed to give a discount in exchange for a review, if you’ve done the work of building up a mailing list you can use it to get some spikes in your product sales. For example, you could contact your list and tell them that on this upcoming Saturday you’re going to be offering a $10 off price for 6 hours only. Those people will be the only ones who know about the discount and will go to get the deal. You should sell a good number of products over that time span and your sales ranking will rise accordingly. Then you just need to follow up via Amazon email and your own list to encourage those purchasers to leave a product review. Scott and Chris have more ideas like this on this episode of the podcast. Private Label sales on Amazon are far from over. Many people are all doom and gloom about the recent changes on Amazon but on this episode, Scott and his buddy Chris Guthrie chat about why there is still plenty of opportunities for people to get started selling products on Amazon. The recent changes actually make thing similar to how Amazon was when both Scott and Chris began their sales journey on Amazon. In that respect the changes don’t seem all that bad to them. They share some new strategies and approaches to building an Amazon business on this episode so be sure you listen. [0:03] Scott’s introduction to this episode of the podcast discussion with Chris Guthrie! [3:40] A shout out to the iTunes reviewers and Facebook community. [6:20] Chris’ initial thoughts about the changes happening on Amazon. [9:20] How this change is similar to changes Google has made over the years. [13:20] The reason top reviewer requests are not possible anymore. [19:30] Why building an email list is your best asset. [23:12] How a list can be built with a contest then a flash email to discount for everyone. [25:03] What’s really SPAM and what isn’t? [34:00] The impact of this on previous reviews that have been left for your products. [36:49] Why sales on Amazon are not over. [39:44] Changes like these have always been happening on all platforms. [46:16] Get in on the next LIVE event. …change on Amazon is a good thing and how it can help us grow our businesses. I wanted to have him back on because well you guys may or may not know but he’s been helping sellers really communicate with buyers to help get real reviews. I had him on episode 246 recently, we talked all about that and I also had him all the way back on episode 77 and I’ll link all this up in the show notes. He’s always been a big fan of communicating with your customers and again building that relationship. This way here when you’re getting sales, you’re naturally bringing them through a good experience. That’s really what we want for them. This whole review thing that is just changed and there is a whole bunch of different articles out there now of saying, what’s right, what’s wrong, how it’s worded, the FTC, like all of this stuff is like who do you believe, and at this point I’m not really sure. I think we all have to be grownups here and we have to say to ourselves, what do we feel is the right thing? Some of you may not want to even follow up with your customers with a third party tool like sales backer. You may want to do it manually or hire someone to do it manually, and that’s fine. The bottom line is we want to be able to take care of our customers. I think in the end it’s always going to win. Amazon is always going to be okay with us really making sure that our customers are happy, whether that’s them doing it for us or us helping them do it for us. We’re going to talk about that but we’re going to talk really about what he feels like this has done and what this change really means because him and I, we’ve become friends and we talk at a regular basis. [00:02:03] Scott: When this happened of course we talked about it and it was kind of like, what do you think about this whole change? It was funny because I’ve been following Chris now for over probably five, six, maybe even seven years in the early days when I was getting started. He came from building affiliate sites, even running affiliate deals through Amazon and being an Amazon associate as they call themselves, you’re making 6%, 7%, 8% depending on how much volume he did and he was very successful at that. He also seen how Google threw a slap down on everyone and it made it hard to rank websites, and then that whole business model was like, “Oh it doesn’t work anymore.” You’re going to hear us talk about like these different changes that have happened in just the past like five to ten years and it’s always an upset, it’s always like, “Now what do we do?” I think if you just go back to the basics and if you really think about what you’re doing here as far as like a product or a brand or a market, it can become a little bit more clear for you to have a little bit more focus when you’re going through this process. Remember, tactics are tactics but the strategy of building a business and customer support and all that stuff that will never go away. Tactics yes, they’ll come and go and I think this is one of them. We’re talking about the review thing. I’m going to stop talking now so we can actually listen to this conversation that I have with Chris which was really good by the way. I do want to remind you that we do have all the show notes, links, transcripts, all that will be linked up on the show notes page to this episode which is 273, so theamazingseller.com/273. I did want to give a shout out to all of our iTunes peeps, you guys are awesome, you guys keep me energized. Actually everyone that emails me or anyone that posts in Facebook, all of you keep me energized because you get to share what the podcast is doing for you or what the blog post that I just did is doing for you, it’s helping you one step of the way. [00:04:07] Scott: That’s really what motivates me and I just want to say thank you and if you haven’t left any comments or any feedback on iTunes or on the blog whatever, go ahead and do that. That would be awesome. I want to hear from you. It would really just allow me to connect a little bit further with you. All right guys that’s it I’m going to go ahead and stop talking like I said what two minutes ago. Let’s go ahead and listen to this conversation that I recently had with my good friend Chris Guthrie. [00:04:35] Scott: Well hey Chris Guthrie, what is going on man? Thanks for coming back on the podcast in such short notice because I wanted to do this and get your thoughts on this whole review thing. What’s going on man? [0:04:46] Chris: Hey? Not so much, thanks so much for having me. Yeah I actually I was not expecting to be back so soon, because I would see you have other guests, and plenty of things to talk about but obviously really reviews are in the news I guess. [0:04:58] Scott: Yeah, they are in the news. This time that we’re actually recording this because we tried doing this a week ago but we couldn’t because you were having a new fence or something put up and someone was sawing and banging and stuff, right? [0:05:09] Chris: Yeah. Literally they were like, “All right, we’re good, you can go ahead and hit record,” and then you hear this sounds going on. Now it’s good now. [0:05:18] Scott: We’re sure? Everything is all good? The fence is up. [0:05:20] Chris: I actually checked outside to make sure all the boards are up and they are. [0:05:24] Scott: Good and the other fun fact everyone, everyone listening right now, fun fact. You know where I’m going with this Chris. [0:05:30] Chris: Yeah, I do. [0:05:31] Scott: Chris is having problems with his Skype, it’s like, “Hey Scott…” he’s Skyping me back with, “Scott what do you use for recording?” I told him it’s called, “Recorder for MAC.” He’s like, “Oh, I’ve got a Windows machine so I don’t have that.” I said, “Wait a minute here,” I scratched my head and said, “Chris Guthrie, the software guy does not have a MAC? Are you kidding me?” I found that kind of funny. I would have just thought that Chris Guthrie is a MAC guy but ladies and gentlemen you heard it here first. You did say that you were possibly going to be getting one here in October right? [0:06:02] Chris: Yeah, I’ve got a MAC laptop and then a Windows PC so I guess my excuse can be well, I like to have both platforms, that’s my excuse. [0:06:11] Scott: All right. Okay, cool. Now that we’ve got the fun stuff out of the way, let’s dig into some more serious stuff here because just recently as we’ve all heard pretty much and if you haven’t, you’re hearing it here, which actually it’s funny Chris I just did a coaching call this morning for one of my students. He basically wasn’t aware of the whole thing that just happened and I’m like, it’s kind of good because that means that you’re focusing on what you’re supposed to be focusing on but in the same breath, you’ve got to kind of stay abreast of what’s happening there in the Amazon world because it could directly affect you. Yeah, I explained it to him. He’s like, “Oh boy that is a little bit of a hiccup there isn’t it?” I said, “Yeah.” We went through exactly what you and I will probably be talking about today, which I can kind of I guess go over what I talked to him about, see if you agree. What was your initial thought? Chris Guthrie hears this for the first time, what do you think? What’s happening in your head? [0:07:13] Chris: Biggest thing I thought was this is just what happens with an online business. For me this is why I really enjoy building online businesses because stuff is constantly changing and moving and if you’re able to quickly adapt strategies and try new things, which is stuff you should be doing along anyways, you don’t want to get complacent with your business, then you’re going to be in the long run winning anyways. The short term is it a bit of a bummer? Yeah, because some strategies that you’ve used in the past that were effective, they’re not going to be as effective anymore. In some cases you can’t do them at all and so is the other half of it. [0:07:44] Scott: What was your interpretation of the change? I’m not saying that’s of course what Amazon is doing, because they could have been working on this long ago but just having that data shows that these types of reviews for customers aren’t as viable because people are inherently leaving a little bit better review than they would if they just bought the product regularly. It’s really targeting these reviews that are incentivized. What is an incentivized review and that’s what we can talk about even more in depth. [0:08:58] Scott: You’ve been around for hundreds of years in internet years because I was following you before I even really got my stride I guess. I’ve watched you build affiliate websites and make affiliate commissions on Amazon sales, actually a pretty substantial site. You’ve also built little niche sites and you’ve seen all the Google updates and the slaps and all that stuff. How is this similar to that? I’d like to hear your thoughts on that. [0:09:34] Chris: Yeah, I mean it’s just, even just giving some existing examples right with Google, they’ve come out with Panda, Penguin all these other types of updates that drastically changed the way that websites would be ranked by looking at the types of links that are being created, the types of content that was being created and it’s basically just a sweeping type change that Google can make to try and change what website owners would do in terms of how they’re running their business. [0:10:13] Chris: That’s just a whole other conversation but yeah, so as it relates to Amazon, I think this is just the… I guess I just keep coming back to the fact that they want the customers to be front and center focused and when you have some of these strategies they can impact that customer relationship that they’re going to make changes to do that. [0:11:17] Scott: Because Google’s main goal is to make you the person that’s searching get what they’re looking for. Fact. That’s the problem, we can’t do the exchange thing anymore. I think the FTC getting involved with the disclaimer, that also, I don’t think that report would have came out because you wouldn’t have been able to identify what was a review given by someone that got it at a discount because you didn’t have to put that disclaimer in until, I forget what it was, but it wasn’t that long ago. Now, when that is that, that clearly identifies that that was given out as a discount for a review. Now Amazon seeing like, “Wait a minute here that kind of backfired on us. FTC said we have to do it, so we did it we complied with that but in the same breath they hurt us because now, it’s publically seen as that.” How do we fix that? Well, we throw in this new rule which is basically you cannot leave a review in exchange for that. Now because of that, you don’t have to put a disclaimer there either because you’re not doing it. [0:13:00] Scott: There’s a couple of different ideas I have as to why it happened. Amazon definitely wants the reviews to be true but I also think this was a way for them to get that disclaimer out of there. [0:13:12] Chris: Yeah. I think that if you look at what people are saying when they look at the reviews it’s like, okay when I see this disclaimer, you feel like you can maybe discount what it says. It really just comes back to, I’m sounding like a broken record, but Amazon just wants to make sure that the reviews are trustworthy and so that’s kind of what it really comes down to. With incentivized reviews, even just using that one data point of them doing that analysis, they kind of prove that they had some bias and Amazon of course wants to make sure that the platform trusts it. [0:13:45] Scott: The other thing I want to say here though too is, the people that are like in the top 1000 reviewers for Amazon or the top 500, this affected them as well. [0:13:53] Chris: Oh yeah. That’s the thing. There is a lot that we can cover and so in that case, yeah. Frankly that strategy is not something that I tell people to do now because those top ten thousand reviewers, you contact them and it’s like, “Hey would you like to review this product? I see you’ve reviewed products in this category before,” and you could send them a product and they’d review it and that’d be great. The problem is now that’s falls under the umbrella of an incentivized review, you can’t give a product for free with the understanding that, or at a discount with the understand that this is going to lead to a review. [0:14:30] Chris: Yeah, you basically can’t do that. You could contact the top ten thousand reviewer and say, “Hey, I know that the only reason why you left reviews is because you were getting stuff for free. but would you like to pay for these product and leave your review?” Yeah, again that’s just part of the game is that strategy for instance is not going to continue. [0:15:39] Scott: There’s people in there right now that are devastated because they can’t get this product anymore at a discount. You know what I mean? [0:15:47] Scott: It really did affect everyone. Now do I think that this in the long term is better? Yes, I do. I personally do. I don’t know what your thoughts are on that because me, personally and I’ll give you my take and you’ll give yours. I believe that now it does. It does kind of level it. It makes it so you can’t just go ahead and compete on reviews, by giving away more to get reviews. [0:16:10] Scott: It’s going to clean that up a little bit, just like the back linking did for Google but you also have to go at it a little bit differently now as far as when you’re choosing products. What are your thoughts on that? Do you think it’s a good thing or a bad thing? [0:16:25] Chris: I think it’s a good thing overall, in the short term like I said before, it’s a bummer for sellers certainly and also in that case I didn’t really even think about that with the reviewers, and in some cases they’re buying products at a discount because they need them for their own lives. Often times you’re thinking about the seller so much because that’s who we’re all dealing with. Yeah, it’s unfortunate for them but on the long run I think it’s better. Certainly it will change in some cases of course how you’re going to launch your products, how you’re going to get your reviews and then also maybe what products you select. Certainly my opinion has always been, I think I’ve said this before on your show before but especially if someone’s never built a business before and they’re just trying to make their first order online, a lot of cases is just overcoming that mental block of actually succeeding with something and so if you started with something that’s lower competition, much lower competition that won’t be as hard. Maybe you don’t even need that many reviews at all to get going, then that’s a great starting point for people that are first getting started. Maybe it’s their first business and of course they don’t have a lot of money to actually succeed. [0:17:33] Scott: Yeah, I go back to even like talking to people or just even sharing what I’ve done. It’s never been a huge push like some of these businesses are doing in order to compete in these competitive spaces. You guys have all heard my ten by ten by one, it’s going after products that aren’t very, very competitive. Now so, I think moving forward. I would even bring that down a little further, not the sales, but I would look more at like under-optimized listings that are still selling and maybe low review numbers. May be under a hundred reviews because now we’re not competing against reviews, you’re really competing against optimized listings, ranking, people that aren’t utilizing the back-end search terms, whatever. Then also being able to do your own push through your own email list which we can talk about here in a little bit. That’s what I think and you’ve always said that. I remember you saying, I’d rather just go after the products that are not selling as many but doing more of those, yeah, because you don’t have to do as much of that giveaway push type stuff. [0:18:39] Chris: Yeah and that always just comes down to just people’s own individual interests in terms of how they want to do it. I’ve talked to people that all they wanted to have was five products and they’re doing well into the six figures of those give products. That for me at least has never been the approach I’ve told people do. Yeah, some people just kind of prefer that approach, but yeah. [0:19:18] Scott: Honestly in the beginning it really is about getting your first set of sales so you can start to get into the algorithm, so you can start to rank and then you can turn on your pay-per-click and then you can start to do that. But then also, and I’ve said this too, and this is something that I’m working internally on and I’ll be sharing more on it. I know that you agree, because we’ve both been in this business not the Amazon space so much, but just the online marketing, building business online. It always comes down to your email list. If you have that asset and I want people to understand that that’s an asset, if you have that asset, you can drive traffic to your products at will, and you’re going to be fine. You can get a product started. I just actually helped, and I’ve talked about this publicly, I’ve helped actually a neighbor of mine who actually helped me find this place, it’s a long story. My wife met her through an online blog, she was blogging about this area. We met up with her, we’re good friends now and she’s a pretty successful blogger that never knew about private labeling. We basically took her audience, we figured out what they wanted, we created a couple of SKUs and now she’s selling some product. It started with her having an email list and a little bit of an audience and I think now people need to understand that that can help you so much drive sales. If you’re launching a new product, you can instantly get your hundred sales from your customers not from a group that’s just willing to review products. [0:20:40] Chris: Yeah, definitely. If there is one thing that changes influence or showing people if they didn’t know before is that they need to be able to start building an audience, building their brands off Amazon. They have an additional traffic source and that’s always been the case for a long time and now this just gives people a kick in the pants to do that if they haven’t been doing it right. [0:20:59] Scott: I think we like to look at the easy way, we all do. [0:21:04] Scott: We’re all guilty of it but we always know too that the longer, at least a lot of us do, we know that the long term play is going to require a little bit more work but there’s a ton of different ways that we can do it but it does come down to… For me it really hasn’t changed, the product research is pretty much the same, hasn’t changed. Even if I wasn’t going to launch a product on Amazon, I would still do the research on Amazon. I’d want to see what the market’s buying. Then from there your sourcing is the same, your pre-launch is pretty much the same too, you’re still optimizing your listing and then you’re getting ready for the launch and that is building that list. Figuring out where you’re going to do your sales and then in the launch you’re going to be sending stuff out to that list, letting them know that you have a discount or a flash sale or something like that. Then from there on, turn on the pay-per-click and then run with it. That’s where it should be heading as far as to build that out. [0:22:00] Chris: Yeah, and I think that a lot of times now you’ll see people just shifting more of their attention towards PPC and also just towards looking at lowering their product price even further, just on the public Amazon site as opposed to in some cases using services like they’ve done in the past for the national boost. [0:22:18] Scott: Yeah I remember I think when you launched your product on Amazon, you did that very similar thing, you just started the price low and then you started to just gradually raise that price. [0:22:29] Chris: Yeah and of course that was a little bit different time in of how large the market is now and the competition, but yeah in a lot of cases and especially if you’re going back to going after lower competition products, that’s in any way what could do is doing that. You do you get your initial reviews, perhaps from your initial audience you’ve built, and yeah that’s a whole other conversation in terms of how all that can be built. Whether you’re building it through your website. You could do your own content-marketing to get traffic that way through Google, social media marketing of course through different Facebook groups that you might be involved in. There’s a lot of ways you can do to get that traffic but yeah, it comes down to when you’re first launching you’re going to be doing some discounting in a sense, even just if it’s on Amazon. [0:23:12] Scott: Yeah, what do you think of this idea? Let’s say for example you build up a little list of I don’t know 200/300 people and you’ve gotten them by doing maybe a contest for a product that’s similar to yours or maybe it’s yours and you built up that list. Then let’s say that you want to not necessarily give them a coupon because again, we’re being told too that Amazon depending on how much you discounted, that may not allow you to leave a review or you can leave it but it’s not going to stick. What are your thoughts on sending out a little email to that list and saying, “Hey just want to let you know this Friday we’re doing a flash sale. We’re getting $10 off this and it’s going to be this Saturday only. Stay tuned.” Then you send out an email and you just lower your price for that day, drive traffic to your listing and then put it back up the next day. What do you think of that? [0:24:06] Chris: I think that’s great because again the main thing is that you just need… It’s sort of a chicken and the egg problem. You need sales to help you get more sales in a sense. So you’re just trying to find a way to get those initial sales. Anything you can do to help drive those initial sales, combination of having your own traffic source, send that traffic to your listing at a discounted price, those two things working together are going to help you get some initial movement, right and that can be what helps get a product up and going. [0:25:00] Scott: I ask, what is spamming and what would that be in your thoughts on that? What would spamming be to you, to your customer? [0:25:12] Chris: I think the main thing though is the intent of the email when you’re doing this is to… You are first really doing it for customer service purposes. You first email is really more to make sure that they know that you’re the company that they purchased the product from. You want to make sure they have a good experience. You want to make sure they have a good experience not just because it’s your business but because you should be at least trying to create great products and provide those to customers very well. So that’s really the start of it. Then the follow up is if you’re asking for the review because you want their honest feedback. Yeah, that’s the approach it, I think about it as. [0:25:48] Scott: Okay, it all comes down to again being like really good to your customer. [0:25:55] Chris: It always comes back to that. If you look at what Amazon is, if you look at what you should be doing, if you’re not doing this, that’s always what it comes back to in my mind. [0:26:03] Scott: Yeah, I look at Zappos, I look at all the big companies and it’s always down to like customer service. There is no restrictions as far as like if you want a refund, we’re going to give you one. If you have a problem, we’re going to take care of you. We’re going to answer the support ticket if we get one. It’s really basic stuff. Then to go over the top and then give them something in return for being a customer, which to me could be like, “Hey thanks so much. If you want to get on our VIP list, you’re more than welcome to.” That could be in and insert card. There are ways that we can do it to then again still give them more value and then from that value is going to have a customer that can potentially leave you a review without you even asking for it. They may just want to do it because they’re like darn. Now, the one thing that I’ve always said and I think that everyone should do because it’s the truth and if it’s not the truth don’t put it in there. I always like to let people know that I’m a small business. I like to let people know that your feedback is really important to us because we’re a small business and we want to make sure that we’re taking care of our customers, our customers are so important to us. If there is anything we can do better, please let us know. It’s letting them know that we’re like them. We’re not like this big company like Apple, you know what I mean? [0:27:25] Chris: Yeah, and that’s why I’ve always said in the communications you have to tell customers that you want to come across more personal in your tone as opposed to trying to sound so corporate. I think a lot of mistakes people make especially if it’s their first business is that they think, “Oh, this is how business is done. It’s always very corporate” but it doesn’t have to be done that way. [0:27:47] Scott: Yeah they want to put a business header on it. [0:27:50] Chris: Yeah they think it needs to be, but if it looks like a personal type message, that works really well. [0:27:56] Scott: No, I agree with that. I just think that, it comes out of the basics, marketing 101; take care of your customer and you should be good and if you made a mistake, let them know you made a mistake. Be clear about it and be upfront and honest and I think that can only come back to help you and just go over the top to really deliver and I think those reviews and the feedback will come back to you without you even asking for them really but if you can ask them, and like I said, like in the second or third email that you’re following up with them, I think that’s a good approach and I don’t think that that’s going to go away. Now if it does, then it does but you can still always deliver the customer with more value and giving them a better customer experience. I think that’s what it really comes down to. I think that you could agree, maybe you agree, I think you do, that right now moving forward, nothing has really changed per se except for if you were doing things about giving away a thousand units to compete. And you were doing that every six weeks or something, that’s probably, you’re probably going to be woken up by this. 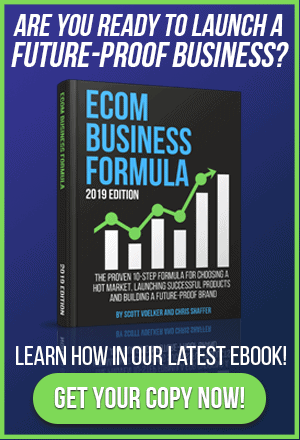 If you were doing the whole approach of finding a product that’s low competition, you can sell 10 a day, you can make $8, $10 profit per unit and find products that are under optimized and then just do exactly what we said. Build a little launch list, let people know… Would you agree like that’s probably the approach that everyone should be taking? [0:29:33] Chris: Yeah. The main thing too is that like you said there’s some strategies aren’t and services aren’t really going to work anymore when this update… I’m looking at the fact now it says, one thing they say is can I use their part services to provide free or discounted products reviews? No. The policy applies regardless of whether you provide conversations to reviews directly or through a third party. This is something that maybe in the show notes you can link to and especially going back to the seller you said that hadn’t heard this. Definitely look through this Q&As that the Amazon has because they answer a lot of the questions that people were freaking out in the Facebook groups about. Yeah, I got a little side tracked. [0:30:11] Scott: Well, I think it comes down to this though because this is what happened right, you have a group that it’s a review group, you have this thing and it’s classified like that, we have that. Now all of a sudden everyone is changing the way that they’re messaging that this is not a review group, it’s a group of people that want to get products at a discount and we’re not requiring them to leave a review and that’s their way of clearing up their message. They’re not in the red but what are your thoughts on that? Should we still trust the group because now it’s technically really a deal site? What’s your thoughts on that? [0:30:56] Chris: This is where I’m probably going to differ certainly from people that run these type of services but the challenge I think is that, if you look at the intent of Amazon’s, their intent is they don’t want incentivized reviews any more. You have all these people that sign up to these platforms where their idea was, “Hey I’m signing for this platform because I get a discount on something and then all I have to do is leave a review.” All these thousands of people have been trained to do that and now just all of a sudden making a switch, you don’t need to leave a review anymore, well that’s maybe not enough. If Amazon looks at where the reviews are coming from, from these reviewers, it’s very simple for them to see, “Oh they’ve left 200 reviews and of those 200, 180 of them are all discounted products,” okay, well let’s just remove those. Then also not count any other reviews they may leave in the future. There’s a problem now with this review footprint, I guess this is what you can say is. These reviewers have this footprint of all these different discounted products in the past then putting a disclaimer and them saying, “Hey this is the product they got at an exchange for a discount.” If that also is removed, then I don’t know if it that really solves the problem. Again this is something they can reference with, I’m on Amazon, and I’m not the one out there enforcing these changes on sellers but in my mind that’s not really enough. I would just kind of hold a bit to see how things shake out. [0:32:18] Scott: Yeah I’m not saying that these sites that really recruited people that wanted items at a discount. That’s really the way I look at this groups. Most of these groups that’s what I look at. People that raised their hands said, I would love to receive products at a discount, forget the review for a second. The review was in there because obviously we were like, you can become a part of this group, the only thing that you need to do for us, is leave a review. [0:32:44] Scott: The people that signed up, they didn’t necessarily put that clause in there, they just said, “I’ll do whatever I need to do to get this product at a discount.” But these people just genuinely want to get product at a discount. Like I said, some people like this for getting gifts for their family for Christmas that they normally wouldn’t have been able to get. So people were depending on it for that reason. The way that they were going to get that discount was to leave the review because that’s what was put into the terms for that group. Now the groups are changing that, I understand that, and that’s fine but like you said, there is a footprint there that now Amazon can go back and trace back to. There’s a lot of people that are upset because they went out and they did a massive giveaway and they lost 200 reviews already. They’re feeling like well I paid for them but, and I’ve said this before too. The reviews that you’re doing through a giveaway or a discounted-type offer, promo to me is a way to get the ball rolling and to get yourself a base set of reviews and if those reviews go away, they go away but it’s a way for you to get going and then start getting your organic reviews through your normal sales, through something like Sales Backer or just if you’re going to manually message them. That’s what it’s always been for me but the people that are getting so upset because 200 reviews or 300 reviews are being wiped out, you went at it at the wrong approach. You were hoping that they were going to stick. [0:34:16] Scott: There’s a chance they’re not going to stick and this is proof that they’re probably not. [0:34:20] Chris: Yeah, and I completely agree. That strategy was just… Those are reviews you get at launch and if those go away, well that’s part of what might happen and you have to just kind of be okay with that. It’s certainly unfortunate for some people to have that happen, any time you get reviews removed, it’s a bummer because usually there is some sort of… Well there is always some sort of financial outlet you’ve put there to actually get those reviews in the first place. Yeah, I think it just comes back to what we were saying before. A lot of the focus now whether you’re going to adjust to move it towards the price you’re launching it, some of the outside traffic sources you’re going to need to get your sales. Of course these people are just, they’d be interested in your specific niche, the products that you’re selling and that’s what they want more so than, “Hey, I’m just here for the discount and to leave a review.” Those are going to the strategies what went on long run. [0:35:11] Scott: Yeah, I heard actually and I’m not going to say which ones, but I heard that a couple of the groups, the people that had used their services that they were affected. Almost like they targeted that group and then they traced back somehow. So this way here it’s like anyone that went through the service, those reviews got a traced back, and then those people were the ones that got deleted. Amazon is pretty smart, they’ve got a lot of money to put into tracking and filters and all of that stuff and now we don’t know either. If you’re give 50% off discount, is that going to be too much of a discount for them to allow you to leave a review? I don’t say traffic to send directly to your Amazon listing, I’ve always said, send that to a landing page, collect the email address and then send it to your Amazon listing. This is going to be better just all the way around to build a channel. If you ever want to exit the business it’s going to help you to have that asset as well. [0:37:03] Scott: As of right now, today that we’re recording this, I don’t see that as an issue. I’d like to know your thoughts but they haven’t said to us, “Listen if you are not a major brand, that’s doing $100,000 a month in sales we’re not going to let you on our platform.” They have not said that yet. Could that happen? Sure it could happen, but it hasn’t happened yet. As of right now, do you still see that there is an opportunity for someone to start selling product on Amazon? [0:37:30] Chris: Of course. I think that it’s… I don’t remember the statistic right off head but I think it’s like 50% of all products are from third party sellers, something like that. Maybe I’m wrong there because I can’t remember right off the top of my head, but Amazon has always going to want third party sellers to help sell those products. For the time being and certainly from what I see moving forward, it’s going to be fine. The biggest thing is what it comes back to, it’s that in any online business that you build, as you’re kind of saying before with the past experiences I’ve had in building other types of websites, it’s going, you’re just going to have to deal with change throughout the process. That’s just part of the deal when you’re building an online business. Certainly it happens in offline businesses but on the online space, it’s just accelerated. Amazon makes a change, okay you can get upset about it and be bummed out and think the sky is falling but really if you’re building your business the way that you want to, which is where you can have some more… Like you mentioned with the additional traffic source, then along you’re going to be fine and some things are going to be changed but it’s going to be fine and of course, it’s still a good way to build a business to start. [0:38:39] Scott: Do you at all though, do you think though too this might actually create opportunity? [0:38:52] Scott: Yeah that’s what I moving towards because there are a lot of people that are going to jump ship right now. [0:38:56] Chris: Yeah and from what I’ve seen… I haven’t actually seen that. I think that there are people that are just, they have this initial shock and this is part of the reason why it’s nice to be waited a little past like a week now when the subject came out to record this. For the most part it’s going to be fine. Traction is going to change and you just got to adapt to it. I sound like a broken record but it does come down to it. [0:39:21] Scott: No, but it does. I think it’s worth repeating. If anyone thought that they were just going to launch something on a platform and everything was just going to be smooth sailing, they were mistaken because I think and if you’re selling on eBay… My good friend Dom Sugar who I always bring up because he’s been at retail for over 15 years on all different platforms before Amazon even existed, he’s seen all the changes. I’ve seen the change with eBay, I mentioned this before and I’ll mention it again. I was selling, way back, I was selling my digital… Well first I was selling digital loops for a Garage Band. I made about a thousand loops for the program Garage Band, and I sold them for $29.95 and I didn’t even have to ship a CD it was just basically digital download. You remember when Kindle Books, or not Kindle Books, then it was e-books you could buy them on eBay. [0:40:12] Scott: But what happened? People were doing penny books, just to try to do it for lead capture, right? Now they abuse the system, so eBay says, “Wait a minute here, ain’t going to do that. We’re going to make it that we’re not going to let digital downloads happen, you have to ship a physical item.” Now it got rid of probably half of the people doing that, because it was too much work, what did I do? I put mine on a DVD and I shipped out a DVD. You just adapt to that change, it’s business man. If you’ve got a competitor up the road and you’re breaking mortar, and they come in, what are you going to do? Are you going to leave or are you going to go out there and try to outperform them and give better customer service, better products. [0:40:52] Scott: You’re not going to run. It’s just the way it is. All right Chris is there anything else that you wanted to discuss quickly before we hop off here? I know we didn’t what direction this was going to go but I think it went pretty well. [0:41:03] Chris: Yeah. I would just kind of like to say hey this was a general idea, let’s just see where it takes us but I think that people that are really frustrated right now, maybe a little of the frustration has passed since it’s been a while since the update came out. Things are going to change, adapt to it and just make sure that if you haven’t yet, this is probably a good thing. Make sure you go check out everything that changed in the terminology for Amazon’s update. They have the update on customer reviews they posted, they have the community guidelines for reviewers, that’s for what the reviewers would do and then they have the prohibited seller activities and actions. There is also that FAQ page where they had some additional questions they posted. Make sure you read those, so you’re informed and of course because a lot of times you’ll see in sometimes the Facebook groups or just even talking with other sellers amongst yourselves. It’s easier to go back and forth a lot. If you go back to just the source of the information then it could clear up a lot of things too. [0:41:52] Scott: Yeah I agree. Well hey it’s been fun, if anyone wants to check out Sales Backer you can go directly to salesbacker.com or you can go over to my resources page, I do have a special offer there from Chris, so you can go over and check that out. It’s on the resources page, theamazingseller.com/resources or I’ll put it in the short notes here. Again, this wasn’t an episode to get Chris out here to talk about his software but it is there to help actually in the follow up process. If you’re interested, definitely go check out the show notes, Chris has put something together there, pretty nice, so go check it out. Chris I just want to say thanks again for coming on and talking about this, I’m glad that we were able to get through it without any chainsaws or anything today. [0:42:46] Scott: That’s funny, I know that was funny, that’s good stuff. Hey it’s conversation we get to talk about it and we get to talk about that MAC thing that you’re not a user of yet but you’re going to be. [0:42:57] Chris: They sent me a MacBook Pro and I’m going to be checking one of those out. I’ll be switching over for sure. [0:43:01] Scott: What kind of phone are you using? [0:43:02] Chris: I use an iPhone so. [0:43:04] Scott: Okay well, you’re halfway there. [0:43:05] Chris: Definitely more Apple, I’m two thirds Apple. [0:43:08] Scott: Okay all right, well all right. I think about you a little bit different than that. All right Chris, it’s been awesome and I appreciate you, and if anyone wants to get in touch with Chris, you can check out the show notes page, you can get all that information there on this episode. All right so Chris thanks again man, I appreciate it and I’m, sure we’ll be in touch. [0:43:26] Chris: Yeah thanks Scott, thanks everybody. [0:43:30] Scott: All right guys, so there you go. Another great conversation about this whole business stuff and I just love talking about this stuff, if you guys couldn’t tell. Whether I was recording this or not, I’d be talking about this stuff and that would be a conversation that I’d be having. I just think it’s good to really bounce ideas off of each other. I think also understanding that the landscape is always changing and being able to talk to guys like Chris, who’ve been in this online space for quite a while. Like I said, I was following him before I even met him and I followed a lot of stuff that he was doing. I was actually working on building out affiliate sites with affiliate links going over to Amazon products, trying that whole business model and I had some success but I kind of lost interest in it because it’s a longer road and it took a lot more work to only make 6%, 7%. Now that I know what you can get from that, well even if you wanted to start out, again guys, I’m just going to throw this out. This is something that just came to my mind. If you wanted to build out a website like you used to, and really get traffic to a website, and just start driving traffic to that website or that blog, then have affiliate links that go over to Amazon products that is, and really test it there. There is no outlay of money other than time. It’s not a lot of money to do that. That’s what was happening back then, and they weren’t even knowing Chris didn’t even realize that. Now I could possibly, not even just make money on the affiliate side of things but now I can test the market without even actually having to have that product. Again, just another thought for anyone out there that’s thinking to themselves I just don’t want to do this thing as far as get products yet, because I’m not sure, start it that way if you want to. There is a whole bunch of different ways that you can do it. That way of doing it, like years ago it still works today. [00:45:29] Scott: Niche Pursuits over there with Spencer Hawes, he’s done it and he’s still doing it today and he has case studies over there as well. I would definitely check that out if you’re interested in dabbling in that. The reason why I’m putting that out there is because when I was learning stuff five, six, seven years ago, it’s still relevant today, it’s just the landscape has changed and we have to adapt. Again, I’m not really sure what I was trying to get at there, except that I want you guys to understand that just because change happens, doesn’t mean that the model is broken. I think that’s really what I want to get across here. I think Chris and other guests that I’ve had on have had issues where they’ve gotten slapped. I’ve seen people where this has happened to and they feel like their whole business model is shot, they just have to start over and rebuild. That’s because they were building a business out of tactics not a strategy about building a business and I think that’s a huge takeaway. All right guys, I think I rambled on long enough at the end. I didn’t really mean to do that, but it’s just kind of how I roll. You guys know that. What I want to do though is remind you guys that if you want to check out the show notes, the transcripts, any links we discussed they’ll be over at the show notes page which is theamazingseller.com/273 and you can all of the show notes and transcripts over. I’m going to also leave the link to Sales Backer, you guys heard us talk a little bit about it and I also talked about the resources page. What I’m going to do is I’m going to just put the link inside the show notes to this episode, so it’s there for you and this way if you wanted to give that a test drive it’s got a 60 day free trial, no credit card. You don’t have to enter anything and you get to start sending emails immediately to your customers. Definitely give that a shot and yes you will buy me a cup of coffee if you go through that link all right. The last thing I want to do is remind you about our live event coming up which is coming up really soon, probably by the time that you’re listening to this, it’s probably going to be sold out but as of right now there are a handful of spots left. [00:47:28] Scott: If you’re at all interested even at just attending day one, then just head over to theamazingseller.com/live and if it is sold out, well you can still register for the upcoming one or be on the wait list or a cancellation list. We’d love to meet you at one of these live events. Definitely go over and check that out if you’re at all interested in hanging out with a bunch of entrepreneurs in one room for a complete day or two. All right, so guys that’s it. That’s going to wrap it up. Remember, I’m here for you, I believe in you, and I’m rooting for you. You have to. You have to… Come on, say it with me, say it loud and say it proud today, “Take action!” Have an awesome amazing day, and I’ll see right back here on the next episode.